From the Field: Sri Lankan Blue Whales! With winter still holding out in BC, we are dreaming about the summer field season. To get us in the ‘field’ state of mind, Anuradha Rao shares with us her experience overseas. Anu is a biologist and BCCSN observer and volunteer. She spent this winter traveling through India and Sri Lanka where she had the fantastic fortune to spend a few days with blue whales. She shares her experience below. After spending August 2010 working with the Robson Bight Marine Warden Program in Johnstone Strait (read her diary from that experience here) she has developed a keen interest in responsible whale watching and the ‘Be Whale Wise’ guidelines. Her impression of an ethical whale watching operation in Sri Lanka draws many parallels to the push in B.C. to ensure that watching whales is done with minimal disturbance. Learn more about the ‘Be Whale Wise’ guidelines here. “It’s been a while since we’ve seen blue whales,” said one of the researchers. After all, it had been a couple of hours. How spoiled we are, I thought. A month before, seeing a blue whale was only a far-fetched dream. That day, I saw more than twenty. Their home? Sri Lanka. The previous day, I had taken a whale-watching trip with Raja and the Whales, an outfit that I had read was eco-friendly and respectful to the whales. 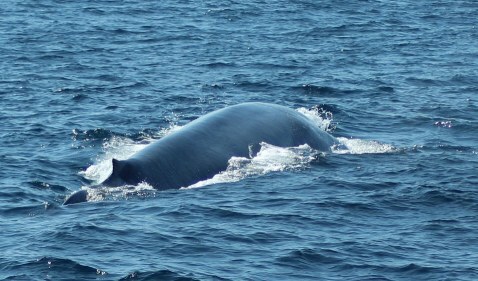 That’s when I saw my first blue whale. A spout some eight metres high from two huge blowholes, a long curve of back before a relatively small dorsal fin, then more and more whale, before the largest animal ever to have lived on Earth vanished into the deep. What a gift. The number of blue whales in the world has been greatly reduced by commercial whaling. Their global population size is unknown and they are listed as Endangered by the Committee on the Status of Endangered Wildlife in Canada. Most blue whales, including those that can be found in Canada’s Pacific waters, migrate between higher latitudes in summer and lower latitudes in winter. The waters off the south coast of Sri Lanka are special, in that they house a resident population of blue whales. While Raja, the captain of our vessel, described to his passengers the whales’ behaviour, explained how they can be disturbed, and kept his distance from them, other boats charged the animals, forcing them to dive prematurely and granting their customers only a fleeting glimpse. 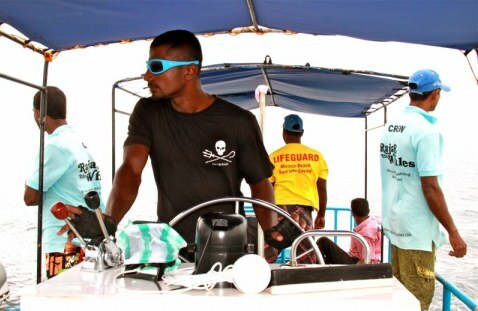 I was impressed with the passion Raja and his crew had for the whales and the health of the ocean. A former fisherman hailing from a fishing family, Raja didn’t agree with the unsustainable methods he had been forced to use, some of which caught several dolphins as by-catch in a single net. He preferred to watch whales. He left fishing, built a boat and became one of the first whale-watching operators in the village of Mirissa, now a burgeoning tourism spot. He has since become an advocate for responsible whale watching and conservation. Raja and others want a marine protected area to be established in the region used by blue and sperm whales. They also want shipping lanes to be shifted away from the area. The day after my tourist trip, Raja was turning down customers and taking his boat out for a visual and acoustic research survey. They let me volunteer on that survey. 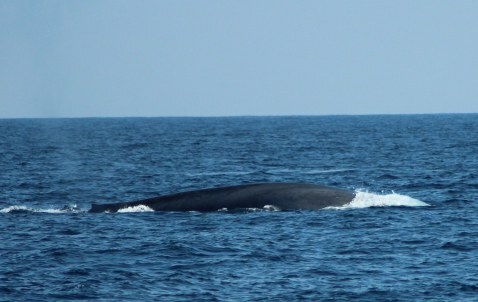 In addition to the many blue whales, we saw a fin whale, sea turtle, and spinner and Risso’s dolphins. For me, choosing a responsible whale watching company paid off: the trip of a lifetime, a clear conscience and support for people who are doing the right thing. – As a boater, follow the Be Whale Wise guidelines to minimize disturbance to all marine mammals. 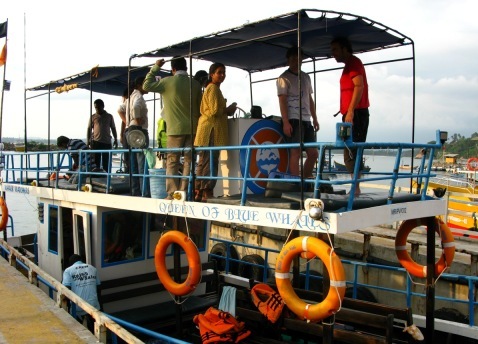 – As a customer on a whale-watching boat, encourage your captain to follow the Be Whale Wise guidelines, to benefit both your experience and the whales’ well-being. Branch, T.A., et al. 2007. Past and present distribution, densities and movements of blue whales Balaenoptera musculus in the Southern Hemisphere and northern Indian Ocean. Mammal Review 37(2): 116-175. Stafford, K.M., et al. 2011. Seasonal detection of three types of “pygmy” blue whale calls in the Indian Ocean. Marine Mammal Science 27(4): 828-840.